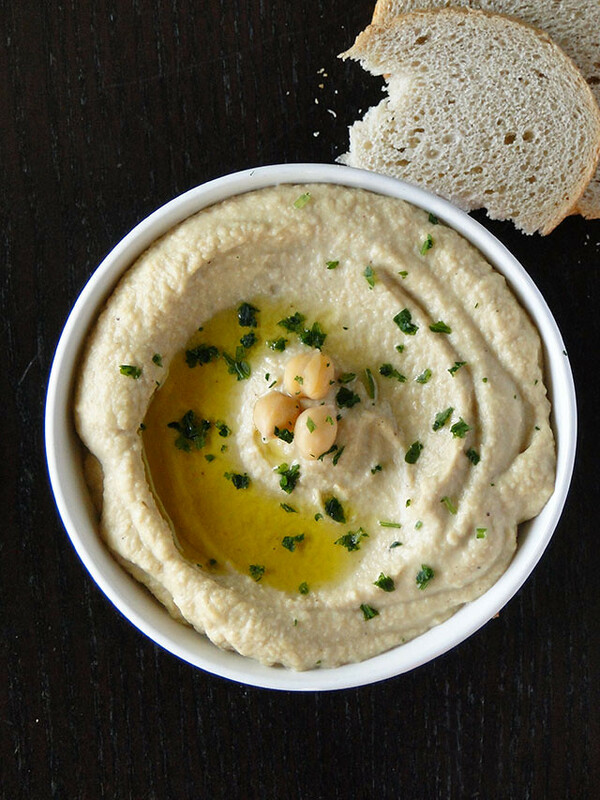 Now who doesn’t love a good hummus dip? And who doesn't also love a good baba ghannouj dip? So why not combine them both and have a wonderful creamy and flavorful dip. Usually when my husband and I visit our favorite Lebanese restaurant we are always torn between ordering hummus or baba ghannouj and we always end up ordering both. So last night, I just had the idea of combining both and I ended up with a nice and creamy texture that is unique. This chickpea and eggplant dip only requires a few ingredients and it is so easy to make. It pairs wonderfully with fresh vegetables, toasted bread or pita triangles. It's a wonderful appetizer that you do not have to feel guilty about! Cook the chickpeas in water until tender. Drain, reserving 1 cup of the cooking liquid. Meanwhile, preheat the oven to 375ºF (190ºC). Prick each eggplant a few times, place them on a baking sheet and roast in the oven for around 30 minutes, until they’re completely soft; you should be able to easily poke a paring knife into them and meet no resistance. Set aside until cool enough to handle. Split the eggplant and scrape out the pulp. Transfer to a blender, add the cooked and drained chickpeas, the crushed garlic, cumin, salt, tahini, 2 to 3 tbsp of the reserved liquid, lemon juice and olive oil. Puree, adding more of the cooking liquid 2 tablespoons at a time as necessary, until the mixture is smooth and creamy. Sprinkle some olive oil and garnish with chopped parsley. Faites cuire les pois chiches dans de l'eau jusqu'à ce qu'ils soient tendres. Egouttez-les et gardez un peu d'eau de cuisson. Pendant ce temps, préchauffez le four à 190ºC. Piquez les aubergines à plusieurs reprises avec une fourchette et faites-les griller au four pendant environ 40 mn ou jusqu'à ce qu'elles soient cuites. Laissez-les refroidir un peu. Pelez-les puis mettez les morceaux d'aubergine dans un bol mixeur. Ajoutez les pois chiches, l'ail, le cumin, le sel, le tahini, 2 à 3 càs d'eau de cuisson, le jus de citron et l'huile d'olive. Réduisez-les en une purée, en ajoutant 2 càs d'eau de cuisson à la fois, si nécessaire jusqu'à obtenir un mélange lisse et homogène. Goûtez et réctifiez l'assaisonnement en sel ou en jus de citron, si nécessaire. Versez un filet d'huile d'olive et parsemez de persil haché. Fantastic idea to combine them together. It really save up the time too. A great idea! I love both dips. Talk about beautiful photos! Wow! what a beautiful shoots Chicho! That looks so gorgeous! I'd love some spread on a piece of sourdough :-) Yum! What a great dip, and healthy to boot! What a great creation. I'm going to give this one a go asap. I eat hommus nearly every day so it's definitely time to mix it up. I'm a huge fan of dip! I've been meaning to try to make my own but couldn't be bothered. I used to take my own baby container of hummus dip to school everyday. This is great! It looks delicious!!!! This looks picture perfect! I love chickpea spread..but never had them combined with eggplants. Thanks for sharing the recipe. I will take an entire bucket of this. I know I would love it lots! I love a no-guilt appetizer. 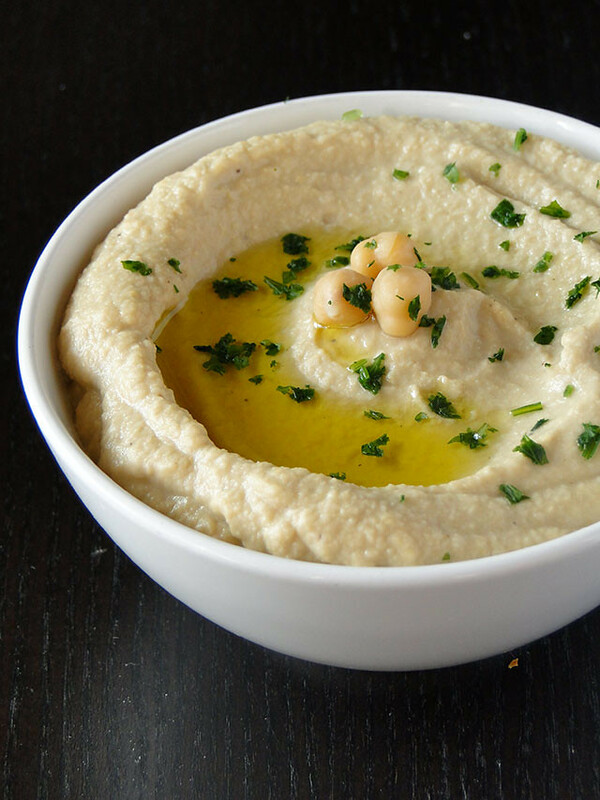 Hummus, simple as it might be, is a wonderfully elegant appetizer. Thanks! Cherine~ that is a great idea! You're right, we always want both, why not put them together! 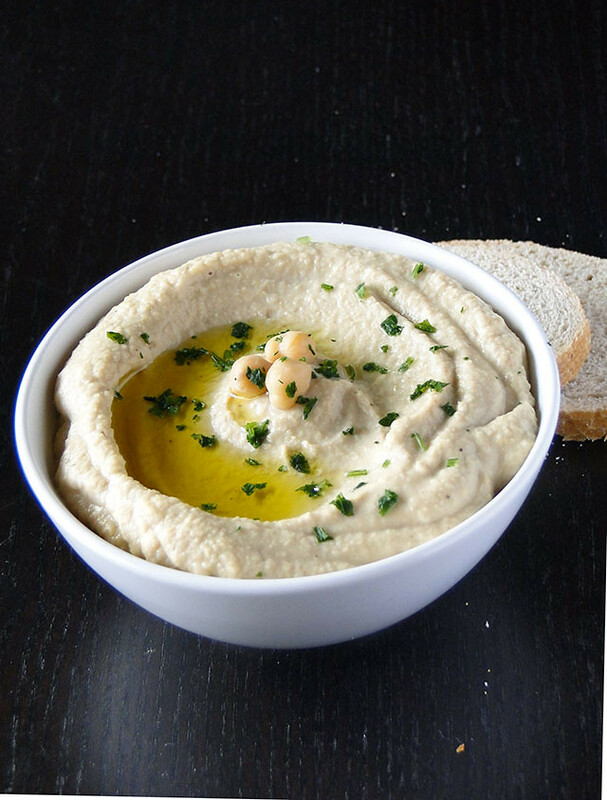 It sounds delicious; half hummus half baba ganoush. Very clever combo! What a brilliant idea to combine these two together! your pictures are superb! You've combined 2 of my favorite dips, Cherine. This is a brilliant idea and I can't wait to try it. I love the idea of combining them. It's the best of both worlds!